Mark Hapner, Sun Microsystems Inc.
Mark is currently Lead Architect for Java 2TM Platform, Enterprise Edition. 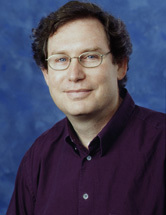 In March of 1996, he joined Sun's JavaSoftware Division to participate in the development of the Java database connectivity API (JDBC). Following that he co-authored the Enterprise JavaBeans specification and authored the Java Message Service specification. Prior to his work on Java enterprise APIs, Mark was a member of Sun's Object Services Group were he wrote several of Sun's initial CORBA object services submissions and worked on the integration of object oriented and relational databases with Sun's ORB.